The Media Education Foundation presents, for the first time on video, Stuart Hall in an illustrated video presentation that addresses representation and the central issues in cultural studies. Hall's engaging presentation is enhanced by extensive use of section headings, visual examples and animated graphics making these landmark lectures accessible to a wide range of audiences - from undergraduates to professionals. 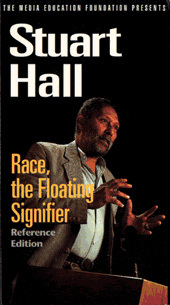 One of the most significant and influential scholars in the development of media and cultural studies, Hall is also renowned as a gifted public speaker and teacher.